...We'd better feed the musicians! In my offline life I play the violin in the Eastern Sydney Chamber Orchestra. Every concert the orchestra members pitch in a contribution to the afternoon tea for the audience to look forward to during the first half and to keep the sugar rush and adrenalin of the players high to see them through till the end of the concert! 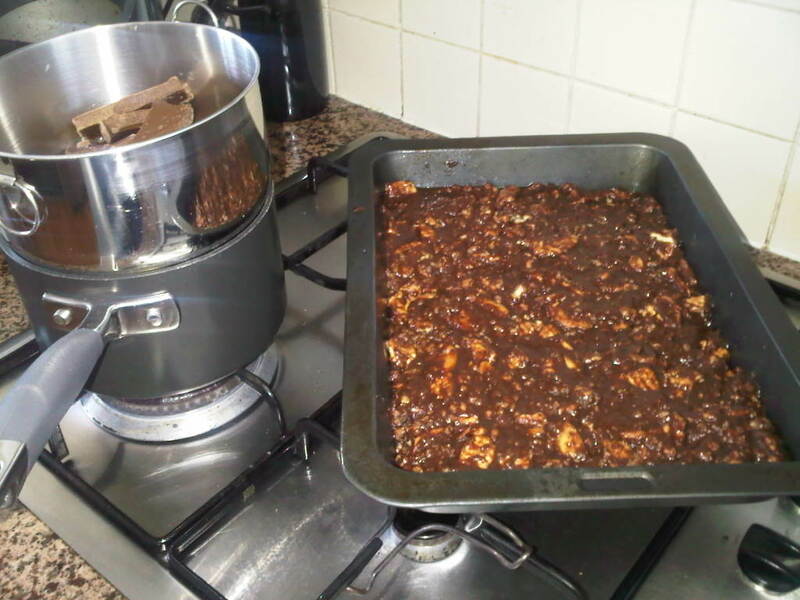 This time I decided to bake an old favourite family recipe originally passed to us from a great family friend. 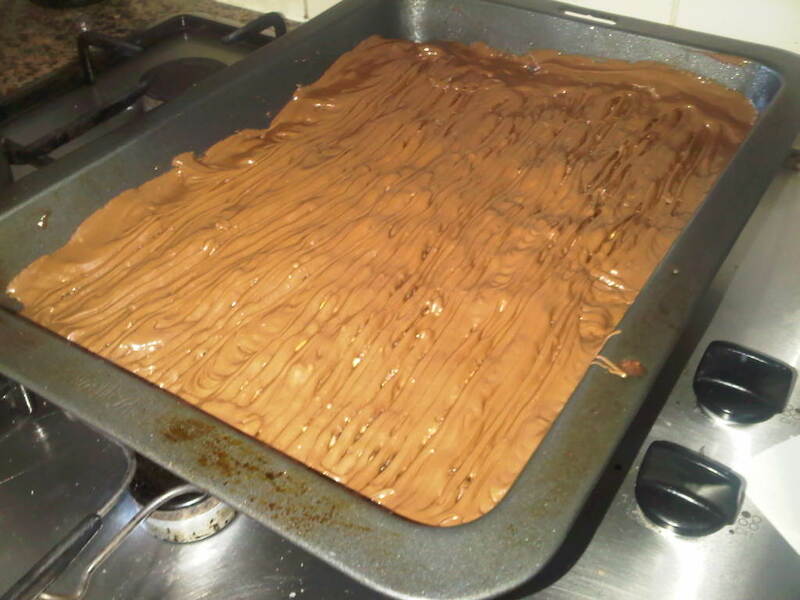 It is a simple but amazing moreish kid friendly snack called Chocolate Gunge! 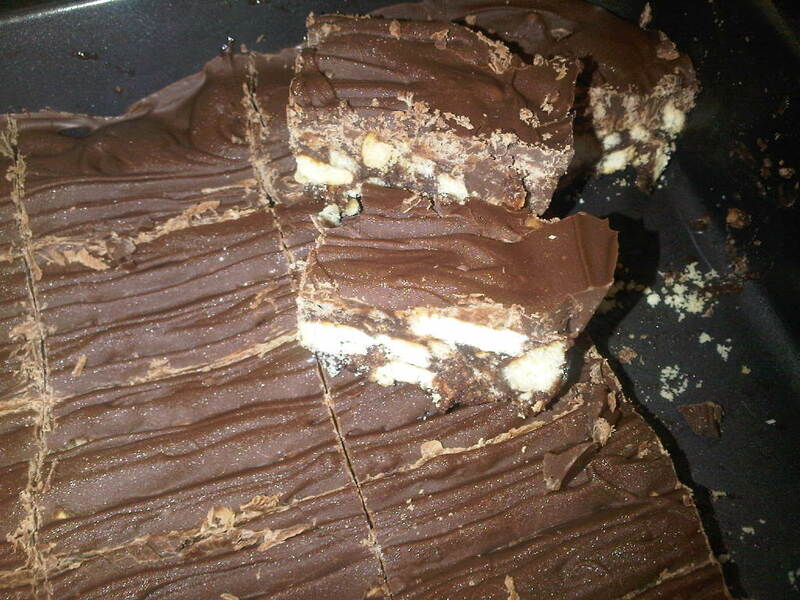 Gooey and chocolatey, it attracted audience and orchestra members young and old! When I say "recipe" I mean I kinda remember from my childhood what we put in and how we made it, so to help me commit it to memory for next time and to give a quick, easy and cheap ($7.36 for the whole lot) winner dish for the next kids party, or orchestra afternoon tea, I am sharing it here! Slice into 2cm square pieces and serve. Don't expect it to last long! Yummy... no other words needed! This was rather good when I tried it, I'll just have to make some! Thanks Spencer, It's so easy to make - you should try it! Let me know how you go!